Lambda API v0.6 is now available! 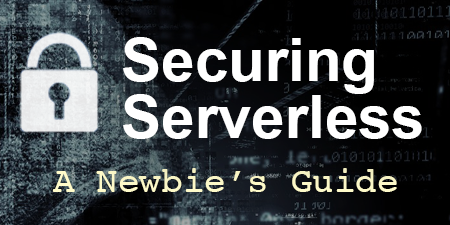 This new version is all about making the serverless developer’s life easier. Lambda API now supports both callback-style and async-await in route functions and middleware, letting the developer choose their preferred style. There are also several new ways to deal with HTTP methods including support for any() routes, a new head() convenience method, and the ability to assign multiple methods at once to the same route function. There’s also a new route debugging feature that let’s you return an array of routes and their methods OR you can log it in table form to the console. 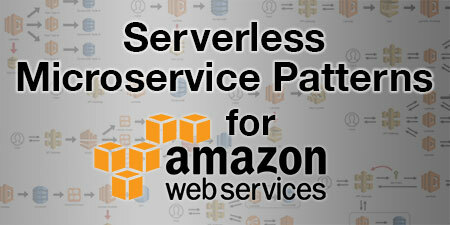 Finally, two new convenience features were added to facilitate common serverless use cases. The first is preliminary support for Etag , which allows you to save bandwidth by using the browser’s cache to serve unchanged data. And Lambda API now automatically parses Authorization headers for you! If you prefer to use async/await, you can easily apply this to your route functions. IMPORTANT: You must either use a callback like res.send() OR return a value. Otherwise the execution will hang and no data will be sent to the user. Also, be sure not to return undefined, otherwise it will assume no response. The METHOD method now accepts an array (or list) or methods. This lets you assign multiple methods to the same handler. All GET methods have a HEAD alias that executes the GET request but returns a blank body. GET requests should be idempotent with no side effects. The new head() convenience method can be used to set specific paths for HEAD requests or to override default GET aliasing. A POST to /users will return “any”, but a GET request would return “get”. Please note that routes defined with an ANYmethod will override default HEAD aliasing for GET routes. Lambda API has a new routes() method that can be called on the main instance that will return an array containing the METHOD and full PATH of every configured route. This includes base paths and prefixed routes, making debugging your routes super simple. You can also log the paths in table form to the console by passing in true as the only parameter. You can now generate Etags for any response sent by Lambda API. By calling res.etag(true) on the RESPONSE object before returning a response, Lambda API will generate an Etag based on the body and return the appropriate header. If subsequent requests contains an If-No-Match header that matches the generated Etag, a 304 Not Modified response will be returned with a blank body. This is a great way to avoid sending unchanged data back to the browser. There is more work to be done with Etags and caching, such as concurrency control, but this first step can dramatically reduce the amount of bandwidth needed to transfer data. Yup, I’m excited too! No more stripping out Bearer tokens. Lambda API will automatically handle a number of schemas including Bearer, Basic, OAuth, and Digest. The req.auth will return an object with the type of schema and the value that was send with it. But there’s more. For the Basic schema, the object is automatically decoded and extended with additional fields for username/password. For the OAuth schema, the object is extended with key/value pairs of the supplied OAuth 1.0 values. I know this will make my life easier. In addition to the features above, effort was put into upgrading the internal route processing engine. The switch to async/await has simplified the flow dramatically, which speeds up processing time. However, removing the promise chains required changes to the flow control. The internal flow now manages an execution state to ensure proper behavior for middleware, error handling and route functions. This new structure has greatly improved error catching and strict callback termination. Finally, internal references were cleaned up to avoid any cross-contamination of objects. The REQUEST and RESPONSE objects were completely decoupled from the main API instance to avoid Lambda from inadvertently freezing any data from previous executions. Only the API settings and route configuration will be reused on warm invocations. v0.6 adds a number of enhancements to route processing including support for both callback-style and async-await responses. Plus added Etag support, advanced method control with any(), head() and multi-method assignments, authorization parsing, and new route debugging features. 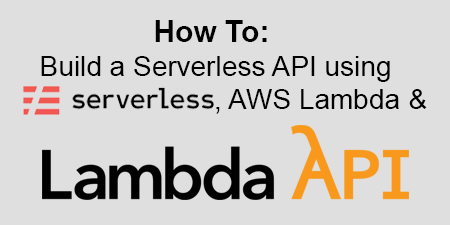 Learn more about Lambda API or check out the other projects I'm working on.